Look how beautiful these Roses are? 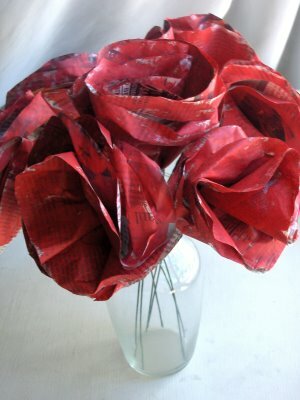 They really are lovely & they are completely made from recycled newspapers. Check out the craft and all its details over at Zakka Life. I love, love, love this idea!! Crafty Nest went to a Salvage Yard and noticed that there were old cupboards there. She picked up a white one and with a little creativity and a lot of fun she was able to make this beautiful serving tray. Check out her website so you too can make this. 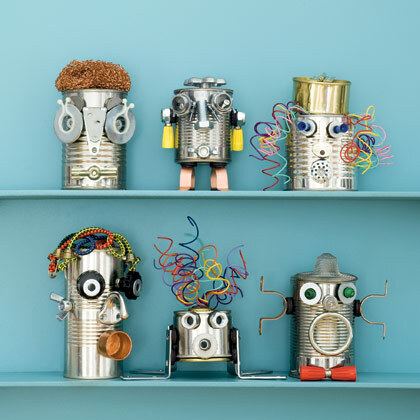 Made from tin cans these robots are so freakin cute. What is really cool is that their features are made of magnets, so they can be removed. Which makes these robots like a Mr. Potato Head…. How fun is that?! Check out the craft details over at Family Fun. What a clever and creative idea!! Made from recycled cardboard tubes you can choose to make either a side table or an ottoman…. or even make both. When you look at them from above they are actually daisies. Check out Esprit Cabane for all the crafting details. Ok, this cow is really cute, isn’t he?! But, wait till you check out Fave Crafts….. they have not only a cow, but they will show you how to make a pig and a bear too. 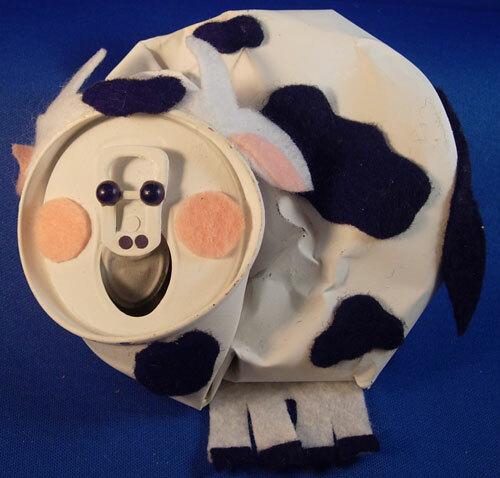 Make all three recycled can crafts and you will have a beginning to your very own recycled animal farm. 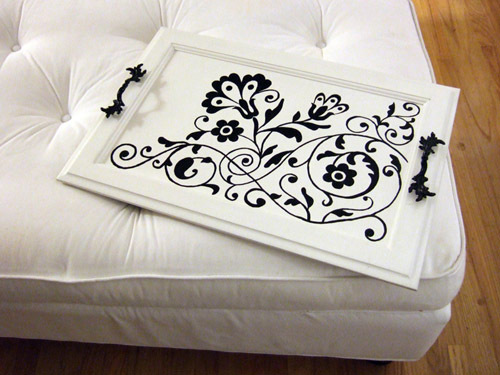 Now, this recycled craft turns out beautiful, doesn’t it? Honestly, if I saw this I would have no idea it was actually made from recycled milk jugs. But, it is. I found this craft over at Mother Earth News. Check out their site for all the wonderful craft details. 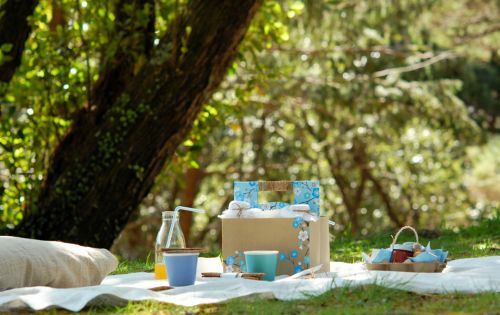 I found this recycled picnic basket over at bron marshall and for the main basket it is actually made from a recycled beer six-pack. Isn’t that a clever idea? They other container is actually made from a recycled half dozen egg carton…. they simply added a handle. Make sure to check out their site for the full craft details. This is an amazing basket!! And, it is completely made from Newspaper. Look how sturdy it looks too…. I love it. How About Orange shows you step-by-step how to make this basket yourself. 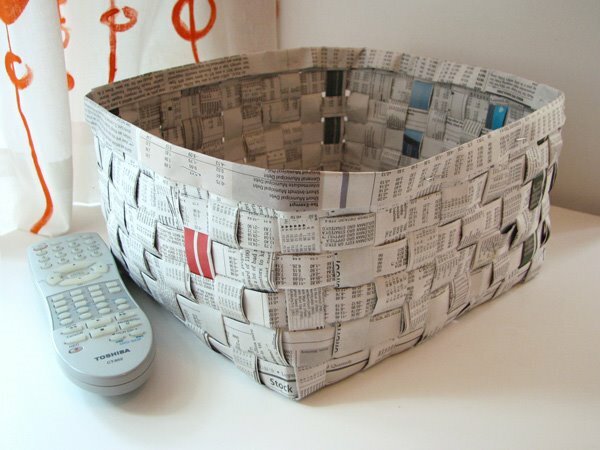 Oh I just love this recycled craft idea…. it might just be my favorite. I found this recycled craft over at Casa Sugar. 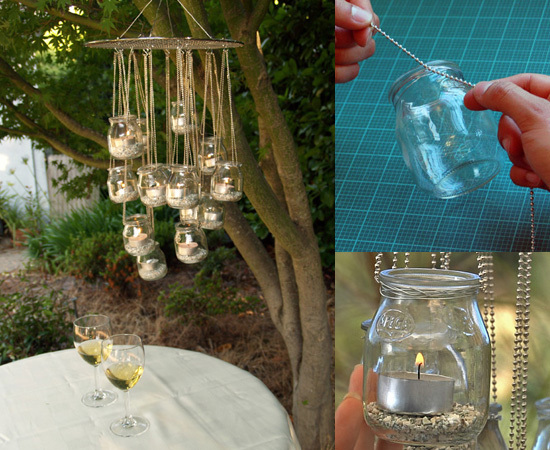 With a few recycled materials and some tea lights you too can have this stunning glass chandelier. I love the way they show this chandelier being outside…. it would be perfect for a fun outside party. 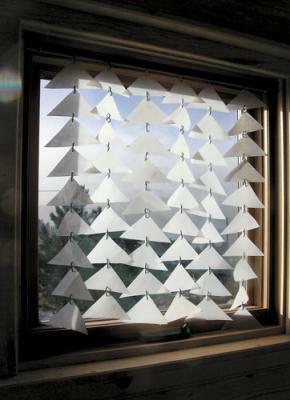 Here is a creative way to recycle those leftover notebook pages and even those left over paper scraps. 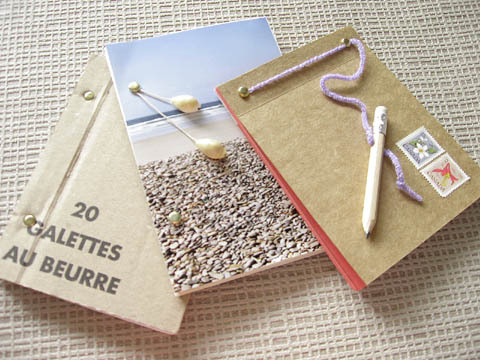 Esprit Cabane shows us how to take those leftover paper products and make them into cute little pocket size notepads. Check out her site for the full details. These Toilet Paper Tube Albums are just precious. 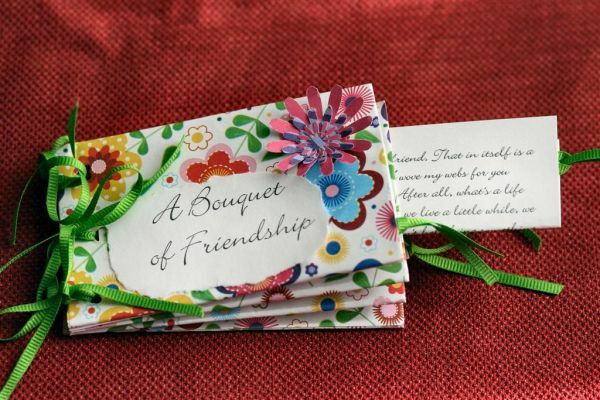 They are a beautiful way to store special keepsakes and pictures of events that you don’t want to lose. Those Northern Skies shows you step-by-step how you too can make these albums from recycled toilet paper tubes. 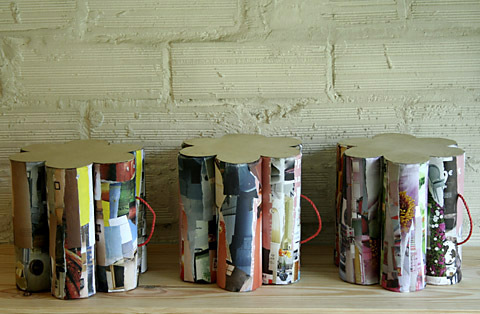 Here is a creative and imaginative way to recycle those stacks of magazines you keep at home. When made like the tutorial on Abstract Octopus you can actually store things in these boxes. Check out the site for the full craft details. Aren’t these earrings adorable? You would never realize they were made from a plastic cup unless I told you. 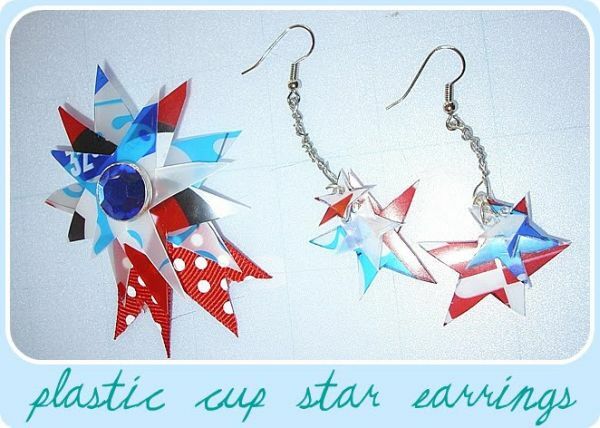 I found this idea over at Punk Projects and I think it is a great way to recycle plastic cups… plus the craft is fun to do. Make sure to check out her website for the details. 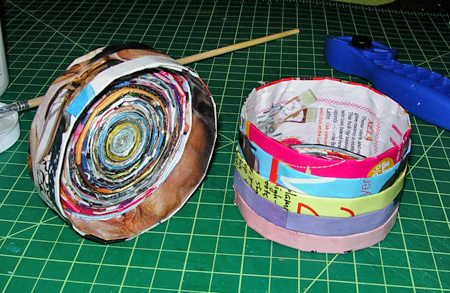 I love the ideas of recycled paper and the toilet paper roll. Very precious idea. I would love to learn how to mKe them.